Today, when you order "DJ in der Tasche (DJ in my Pocket) by Christian Lavey", you'll instantly be emailed a Penguin Magic gift certificate. You can spend it on anything you like at Penguin, just like cash. Just complete your order as normal, and within seconds you'll get an email with your gift certificate. Have full control of your music during your performance! Many entertainers are looking for a reliable way to easily control the music during their show. 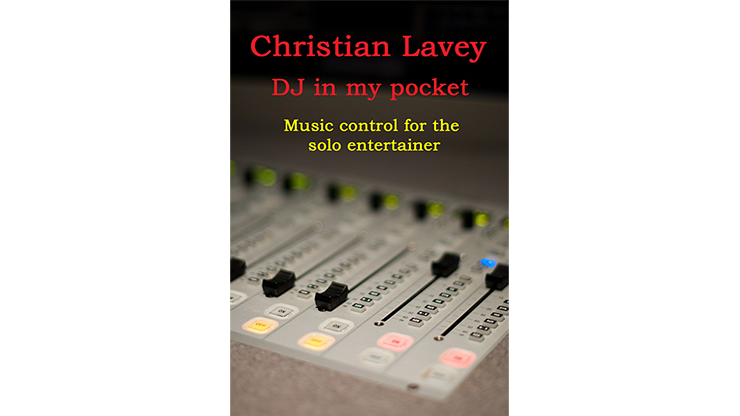 Christian Lavey describes in his eBook, DJ in my Pocket, how you can easily control your music during the show - even using fade-in and fade-outs and everything with the single push of a button. All software and hardware components are described. The music can even be controlled with a button in your pocket. Since every entertainer probably already has the necessary materials (tablet or mobile phone), the investment for most of them will be less than 50 dollars. The eBook describes how to control your music with the help of Android devices, but also mentions alternatives for Apple users. Download the eBook and learn these music control techniques.